Daily Slideshow: Here are some quirky facts about the brand-new ZR1 that you might or might not have thought about. What is the top speed in first gear? The top speed of the Corvette ZR1 is an impressive 212 mph (341 km/h). But what about the top speed in first gear? 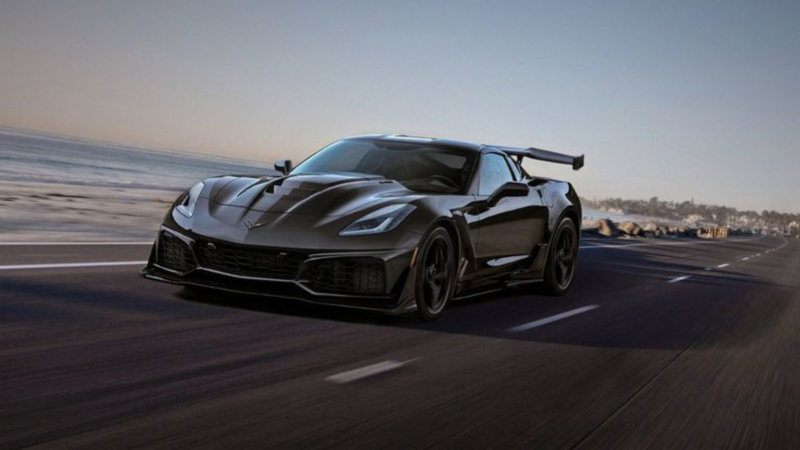 If you drive a Corvette ZR1 on the road in first gear and press the gas pedal all the way down to the floor, and keep it there until the Corvette engine reaches the rev limiter, you'll be traveling at a speed of 66 mph (106 km/h). How do you use the rear hatch considering the big rear wing? If you try to open the rear hatch with your hand from the back, you are certainly going to pinch your fingers. This is because the rear spoiler is located very tight behind the rear hatch and it doesn't move when you open the hatch. To avoid pinching your fingers, you must open the rear hatch from the side, or you could also load your luggage from inside the car since the luggage area is right behind the seats. >>Join the conversation about the 2019 Corvette ZR1 right here in CorvetteForum.com. Can you use the Michelin Pilot Sport Cup tires in rain? 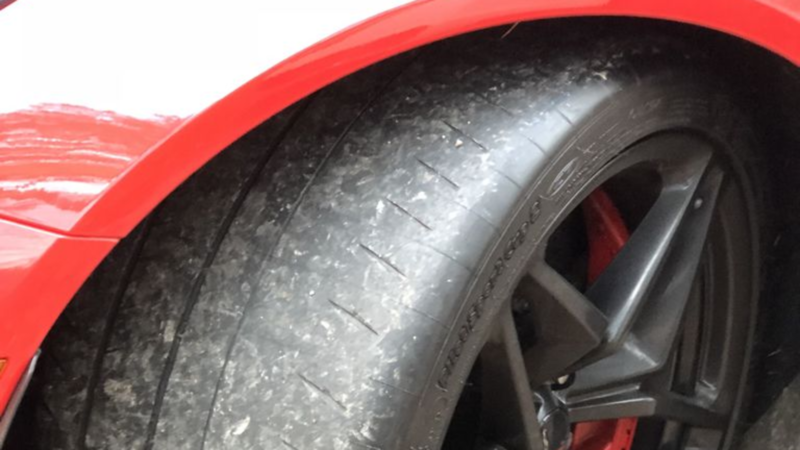 The Michelin tires are basically racing slicks disguised as road tires. This means they are really great when they are warm, and the road surface is both warm and dry. At lower temperatures, however, or in rain, they are not good at all. Make sure to use your Corvette ZR1 in nice, warm weather when using the original tires, or try to handle the car with utmost care. Why are there steering wheel shift paddles on a car with manual transmission? The paddles are used to activate or deactivate the automatic rev-matching feature when downshifting. 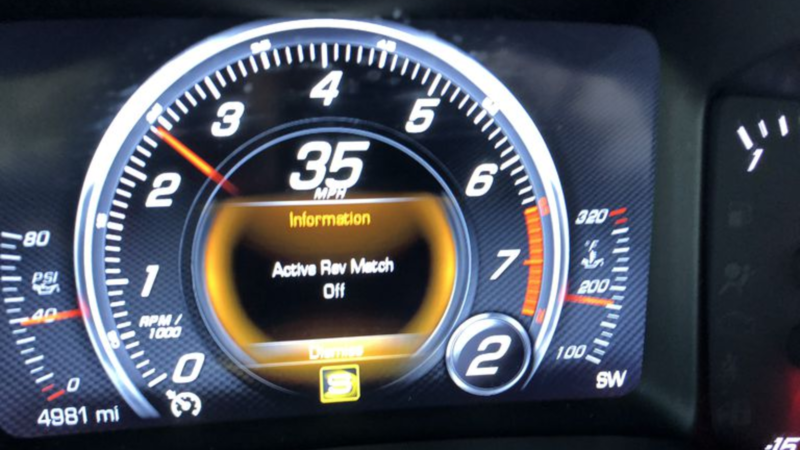 If you pull one of the paddles, the gear-position indicator in the instrument cluster turns yellow, meaning the car automatically revs up a little when downshifting, providing a smooth transition. If you pull the paddle again, the rev-matching feature is turned off. 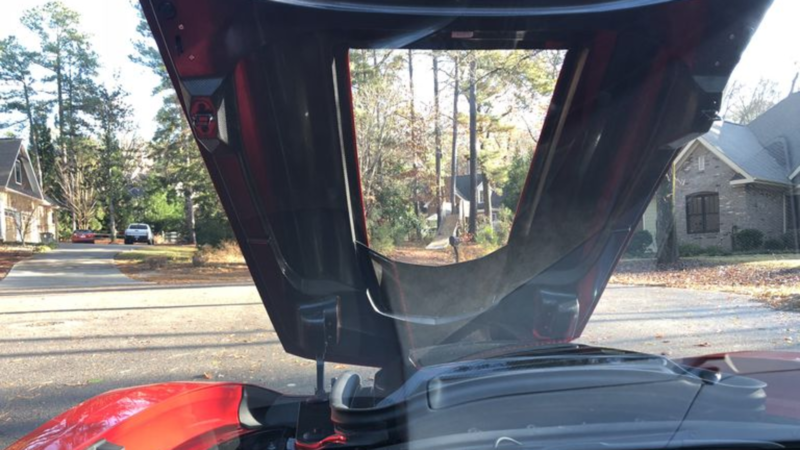 Can you drive the ZR1 with the hood open? The hood on the Corvette is a bit different from other cars. When the hood is closed it looks like a homogeneous piece, but it actually isn't. 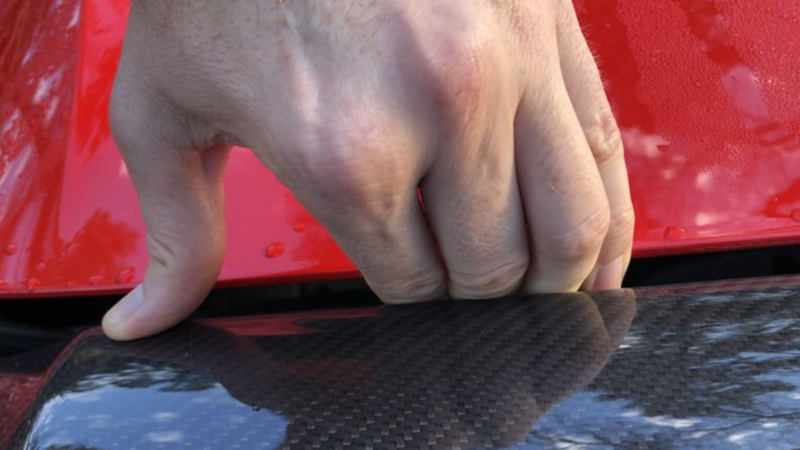 When the hood is opened, it becomes clear that the mid-section is not part of the hood, but instead the carbon fiber top cover of the supercharger. The big hole in the hood acts as a window when the hood is open. DISCLAIMER: make sure not to ever try the stunt to drive with an open hood on public roads! !